In the 19th century, hospitals were only used by sick people who could not afford to hire nursing care at home, or by infectious people isolated on the order of the medical officer of health because they were a danger to others. If a sick person could not afford the cost of hospitalization, the city government sent them to Toronto General Hospital and paid the cost. As a result of several smallpox epidemics in the 1870s, the City decided it would be cheaper and easier to meet the demand for care and quarantine if it ran its own hospital. The City already owned the House of Refuge, which was essentially a shelter for homeless people, in an old building just north of the Don Jail. In the mid 1870s it converted this building into a facility simply called the Isolation Hospital, to care for people with smallpox, diphtheria, tuberculosis, scarlet fever, and measles. During the 1870s, the site of the Isolation Hospital was truly isolated, which was partly why the Don Jail, seen at the right of this photograph, was also built there. 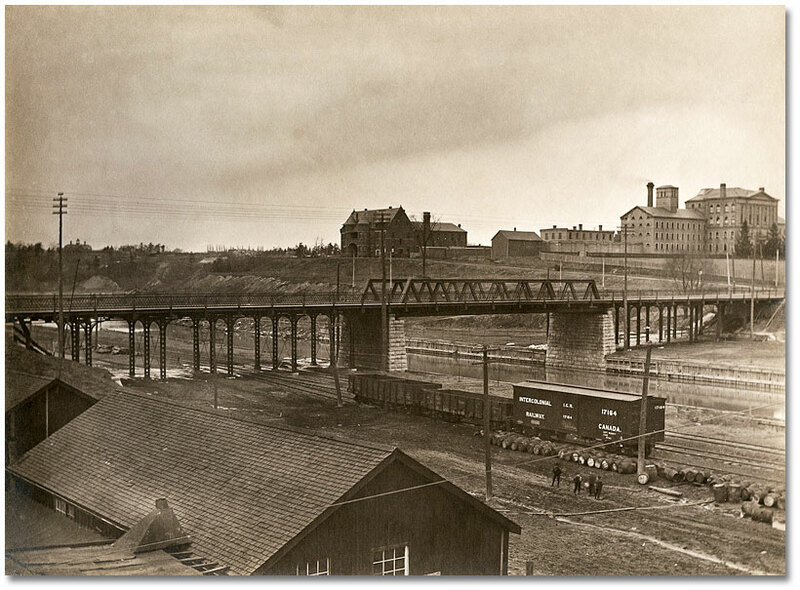 However, by the 1880s, there were complaints about a hospital for highly contagious people being in “one of the most beautiful and largely growing portions of the city,” as Medical Officer of Health Dr. William Canniff put it in 1886. 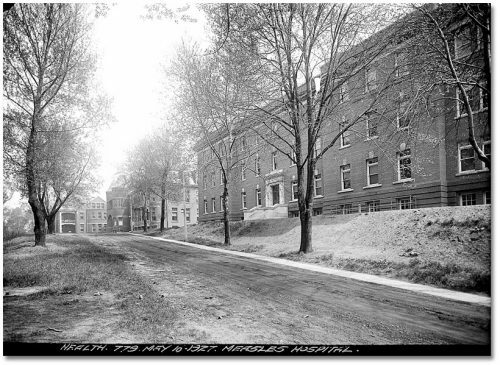 The 25-bed hospital shown in the picture to the left was built specifically for smallpox patients and opened in 1901. 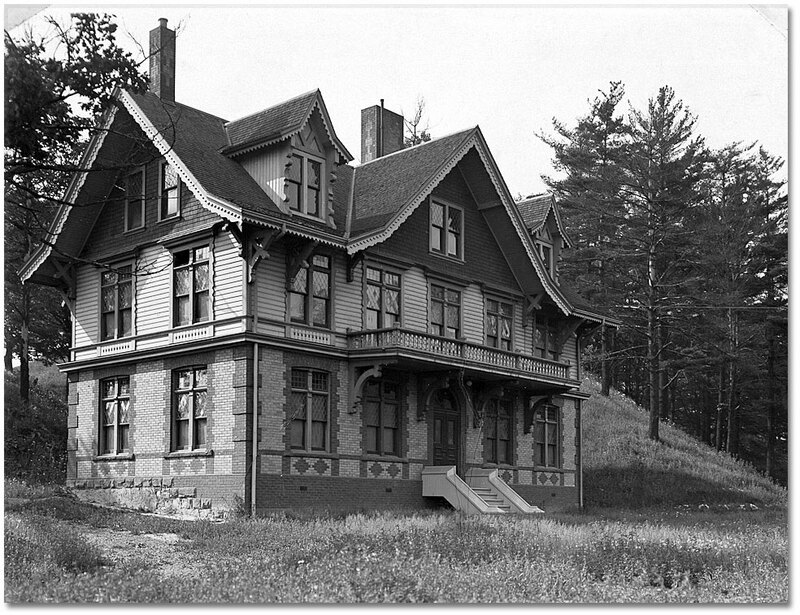 It was part of the Isolation Hospital complex, but by the mid-1920s it was too small to be useful. The empty building burned down in 1930. By the 1920s, the Isolation Hospital, now renamed the Riverdale Isolation Hospital, had acquired several additional buildings, each dedicated to patients with a particular disease. With the decline of communicable diseases in the mid-20th century, the function of this hospital changed. 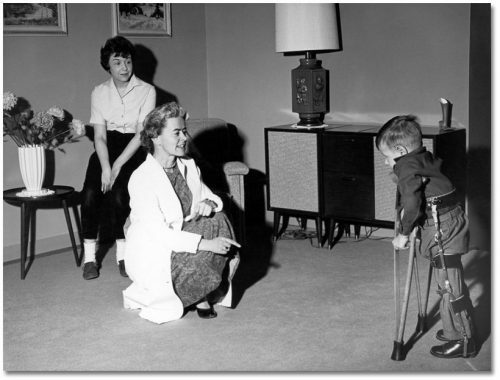 In 1957, it was renamed the Riverdale Hospital, specializing in helping those with chronic ailments or requiring rehabilitation. This site still hosts a health care facility called Bridgepoint Health. 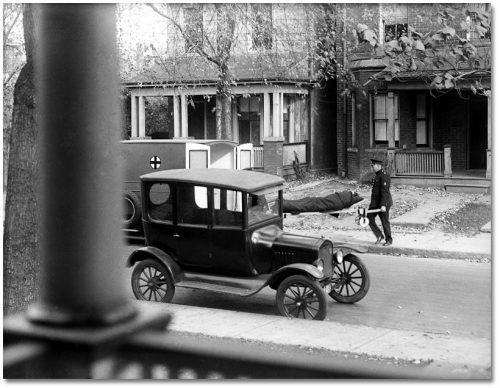 The Department of Public Health also provided medical care to patients once they were well enough to leave the hospital for home. While convalescing, many patients, such as those with tuberculosis, needed to change their habits at home to prevent relapsing or infecting family members. Public health nurses visited patients’ homes, monitored their health, and helped them to make changes to support their continued well-being. In the 19th century, the Department of Public Health was responsible for transporting people with communicable diseases to the hospital. 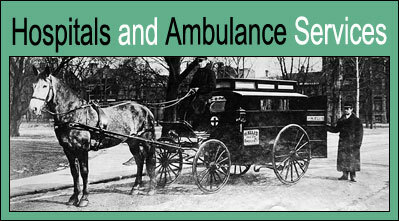 The department originally used a wagon, but purchased its first purpose-built ambulance in 1889. The police managed injury and non-infectious cases, and the Department of Public Health took over this responsibility in 1933. 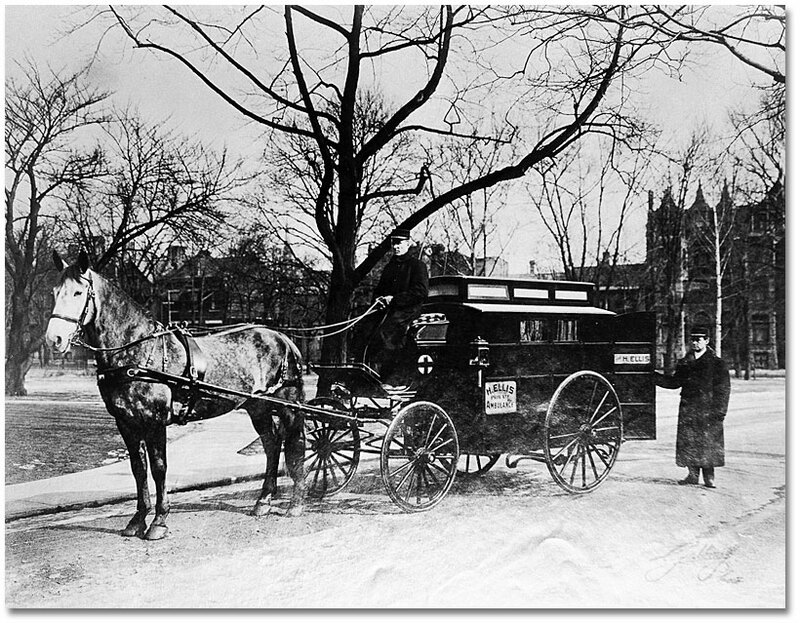 City ambulances operated only within the city limits, and suburban residents had to rely on hospital-owned ambulances, or on private services often operated, not encouragingly, by funeral homes. By the 1950s, the lack of service in the suburbs was causing concern. 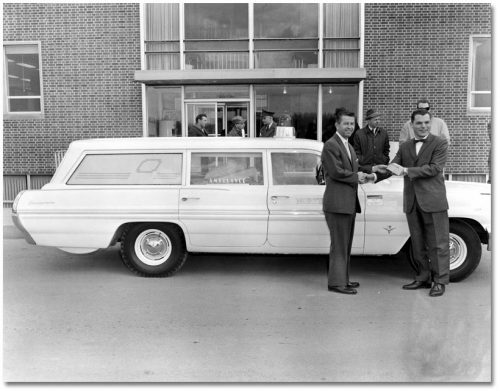 The Metropolitan Toronto government took over responsibility for ambulances in 1966, bringing ambulances into the modern era of professional public services.